No northern home is complete without its very own 'hash' recipe. 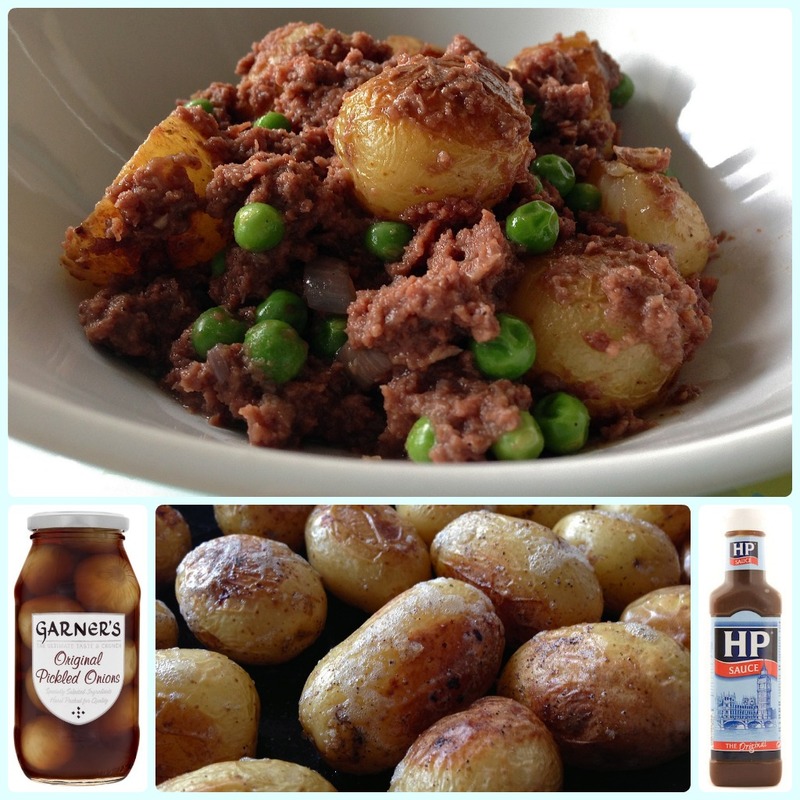 It appears as tater hash, tatty hash and corned beef hot pot, amongst others. Look a little further afield and similar recipes utilising cheap ingredients can be found in most regions. The North East have Panaculty and Merseyside the aptly named Scouse. Wherever you live, I'm sure that you had your own version at home when you were growing up, which may or may not have looked a little something like this. My grandma makes hers with carrots, turnips and boiled potatoes cut into chunks. I have also had it with creamed potatoes mixed in. Some recipes don't reduce down the liquid, so they are much sloppier than mine. It's all personal preference. My version is much lighter but makes the most of flavour. I add a little red wine (definitely not used back in the day...) and use mini new potatoes which I roast in the oven for the best texture and flavour. Word on the street (the street being food magazines) is that corned beef is the next big thing for 2013, so hopefully we will be seeing much more of this south American export! Preheat your oven to Gas 7/220 C.
Tip your baby new potatoes into a small roasting dish and spray with the light oil. Sprinkle with a little sea salt and plenty of black pepper. Give the whole thing a shake and pop in the middle of the oven for 40 minutes or until golden brown, and soft under a knife. Turn them half way. Tip: If you could only get bigger new potatoes, cut them diagonally for maximum crispiness. Meanwhile... dice your shallots and heat the olive oil in a large casserole. Add the shallots and soften. If the pan is a little dry, add a splash of water. Add the beef stock cube, the hot water and the red wine. Stir well and simmer on a medium heat until the liquid has reduced by about half. Add the Worcestershire sauce and lots of black pepper. It doesn't need any more salt. Tip in the corned beef and flatten with your spoon or spatula and warm through on a low to medium heat for about 10 minutes whilst you wait for your potatoes. Taste it to make sure your seasoning is right. Add the peas a couple of minutes before your potatoes are due out. When the potatoes are done, slice any larger ones into bite sized pieces and mix them into the corned beef mixture. Warm the whole thing though a little then dish up! Sounds very tasty for a cold winter's day. I can confirm that it is so!